Noise is commonly defined as unwanted sound. A typical noise control problem includes three basic components: the noise source (machines, fans, pumps, processes etc. ), the receiver (persons subjected to the noise); and the path (the route the noise travels between the source and the receiver indoors or outdoors). Noise can be classified in two different forms: airborne and structure-borne. The first one goes from a source to a receiver as a differential in atmospheric pressure, traveling in all directions. Structure-borne instead is unwanted vibration, which is transmitted from a vibrating source to a receiver through a solid material and regenerated as airborne noise. Once the three main elements (source, path and receiver) have been identified, four ways can be adopted to control the noise: absorption, barriers (blocking), damping and vibration isolation. Which are the most relevant data to be considered in order to identify the correct roles within the supply chain of acoustic manufacturers. Understanding all of the factors involved could simplify the selection of the rightest vent silencer for the application required. But first, it’s important to introduce vent and blowdown silencers, reviewing the factors involved in predicting the noise generated by high-pressure vents. Discharge of high-pressure gas to substantially lower pressure environment (atmosphere). The terms “vent silencer” and “blowdown silencer” refer to the relative application for which each one is used. For both of them the design is similar, since we refer to vent silencers when being used to vent at a constant flow rate, for a period of time. The word silencer is instead referred to as blowdown, when they are blowing down a finite volume of gas starting at a high pressure, and ending at a low pressure over a given time. Vent silencers are sized for constant flow and blowdown silencers are sized for maximum flow. Vent silencers find wide applications in high pressure vents, steam vents, safety relief valve outlets, system blow downs and purge outlets etc. Vent and blowdown noise is a function of upstream pressure and temperature, type of gas being vented, the valve size and type, plus the effect of downstream piping. 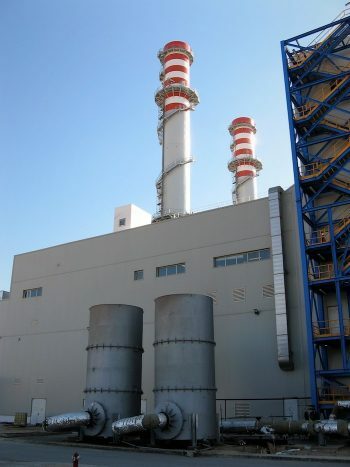 Stopson Italiana designs and manufactures high quality Vent Silencers that attenuate the high noise produced by the expansion of Gas, Steam or Air at elevated temperatures to atmospheric pressure. Over the years, there has been a good deal of work done in the field of predicting the noise generated by the high-pressure venting of gases. Mass flow – the higher the mass flow, the noisier it becomes. The type of gas and its molecular weight/specific gravity – lighter gases are noisier. Temperature – higher temperatures result in lighter gas flows, and therefore, higher noise levels. Upstream versus downstream pressure – the higher the upstream pressure is relative to downstream pressure, the louder it will be. Choke flow (critical flow or sonic flow) – occurs when upstream pressure is roughly two times or greater than downstream pressure, making things much noisier. Orifice/opening size of valves, vents, orifice plates, diffusers, etc. – larger diameters result in low frequency noise, while smaller diameters produce higher frequency noise. For instance, diffusers create a shift in the noise spectrum from low frequency (one large vent opening) to high frequency (many smaller openings), which is much easier to attenuate. The noise at the end of a high-pressure vent pipe is a combination of the noise generated by the high-pressure-drop elements in the system. Essentially, any element that has a high-pressure drop across it or large change in area will create noise and should be included in the noise model to accurately predict overall noise level. Pressure relief and control values – present in virtually all venting systems. Vent pipes/nozzles – last element in venting systems, except for those using high-pressure silencer diffusers. High-pressure silencer diffusers – when included, usually designed to provide a specific backpressure at the rated flow (sometimes used as fail-safe device). Orifice plates – included in many systems as a flow regulator or fail-safe device. Enlargers (reducers), headers and abrupt transitions – included in pipe systems for various reasons. Shock Noise Versus Turbulent Mixing. Turbulent mixing – caused by the ripping of the air as the vent gas decelerates to lower velocity, such as the atmosphere. Shock noise is the louder of the two. By adjusting the elements in a piping system it is possible to reduce the shock noise by reducing the magnitude or quantity of choked flow conditions present. Turbulent mixing, on the other hand, is always present, though less of an issue. The Sound Vibration Control Magazine released a full report with all the specifications needed (listed in a Data Sheet) in order to proceed with the right purchase of a industrial silencer. An integral part of today’s industrial process and ventilation systems, industrial fans, blowers, and compressors are leading causes of noise problems. If unaddressed, these issues can lead to health and safety concerns, as well as environmental regulation violation. With the tightening of noise regulations, industrial facilities are required to stay in compliance with regulations. Industrial silencers are typical being used to attenuate noise coming from intake and exhaust systems of industrial facilities. These silencers may be built in limited space. Inside an industrial area, fan installation is one of the most predominant source. Silencers are required for almost all installations that particularly include gas turbines and heat recovery steam generators. Our Gas Turbine Exhaust Silencers are especially designed to work in an environment where they are simultaneously exposed to high temperatures and to high velocity turbulent flow. Stopson Italiana provides full custom engineered Inlet Exhaust Silencers for Gas Turbines, DG sets Turbo Compressors and Turbo Blowers. They entail complete solutions in the field of Machinery filtration and acoustic solutions for Gas turbines and compressors. Stopson Italiana Gas Turbine Silencers provide the ideal solution to keep noise at a manageable level, while maintaining the operating efficiency of your turbine intake system. Stopson Italiana designs and manufactures all types of discharge silencers in compliance with the international quality standards. Our discharge silencers are very much effective in reducing the noise for entire systems that receives air for heavy engines & turbine. Stopson Italiana engineers have been designing application-specific products and services for industrial plants and processes since 1965. Each product manufactured is tested and inspected to meet all applicable industry standards in terms of quality, longevity and safety.